According to the World Health Organisation, around 1-3 per cent of the adult population and and 4-6 per cent of children suffer from food allergies. The severity of reactions caused by consuming and for some individuals just coming into contact with foods varies. Reactions may include gastro issues, rashes, hives, difficulty breathing, nervous system problems and at the most extreme end of the spectrum, eating a food that an individual is allergic to can lead to their death. There’s no doubt that allergies and intolerances are a serious issue and should not be confused with customers making a lifestyle choice not to eat certain foods. For those who have allergies or are parents to allergic children, dining out can be incredibly stressful. As restaurant managers and owners, you can help. With a growing percentage of the population living with allergies, being able to cater for an allergic customer safely and inclusively isn’t just sensible from a safety perspective and a legal requirement in many countries, it also makes good business sense. Let’s walk through some of the points you need to consider. Allergy legislation for restaurants differs between different countries and in the case of countries such as the US; the law varies across states too. It’s your responsibility to familiarize yourself and your staff with the law and to ensure that you adhere to it. In the EU (including the UK) The European Commission published the Food Information for Consumers Regulations that were adopted into UK law in 2014 (known as FIR 2014). Under these rules all packaged foods must have ingredients listed and allergens marked in bold. As a restaurant, you should use these labels to work out which items on your menu contain allergens. It’s good practice to create a product specification and recipe folder to help your manage the process. While customers have a responsibility to let you know if they suffer from allergies or intolerances, you and your staff must be properly trained to understand how to comply with legislation and you need to offer up to date and accurate information to customers. 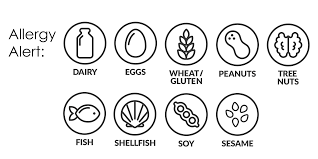 You are required by law to be able to tell your diners if meals or drinks contain the top 14 food allergens, even in trace amounts, this can be done verbally if you don’t have a specific allergen menu but you should have written evidence (e.g. specification sheets) to refer to. You can familiarize yourself with the law in this explainer from the UK Food Standards Agency. In the United States, most food products need to be labeled to detail ingredients and indicate the presence of allergens. At present, several states have also adopted restaurant allergy legislation requiring a manager trained in food allergy handling to be on site at all times. Some states also require restaurants to display food allergy awareness posters within staff areas and/or to display a notice to customers informing them of their responsibility to tell staff about any allergies or intolerances they may have. It’s worth noting that even if you’re business is not in a state where these policies are law; they are sensible measures to adopt. Not only will they help to protect the safety and comfort of your guests but also to negate the risk of liability. There are approximately 30,000 individuals who require emergency room treatment and 150 Americans die each year as a result of food allergy reactions. As a starting point for educating and training staff and auditing your procedures, the guide Welcoming Guests with Food Allergies is an excellent US-relevant resource. Under the Food Safety Mordernization Act (21 CFR Part 117), operators of food facilities such as restaurants are required to have a written food hazard plan that needs to identify and evaluate foreseeable hazards alongside implementing preventative controls to minimize risks. Allergens are included on the list of hazards and therefore restaurant operators must have a risk assessment and plans in place for handling allergens. You can find more on this from the US Food and Drug Administration. In the United Arab Emirates, serving customers with allergies is covered under the Municipality Food Code of 2013 section 3.4.3. It states: “food service establishments must declare the most common ingredients known to cause allergenic reactions when there are present in the food that is prepared or sold in the establishment.” If this is something your establishment doesn’t yet do, now’s the time to look at appraising your menu and putting suitable measures and training in place. Being able to accurately tell customers which allergens are present in the food and drinks you serve is reliant on good knowledge of the ingredients used in your restaurant. This means it’s essential to hold accurate and up to date information about your supply chain. Something as simple as swapping the bun you serve a gourmet burger in could result in tragedy if you don’t notify customers of the change and any additional allergens present. In high profile cases in the UK, dining establishments have been subject to huge fines for failing to notify customers correctly about allergens within their meals. 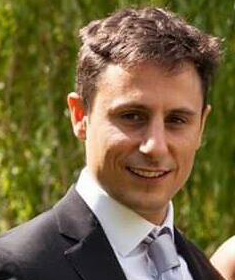 And in 2016, one restaurant owner was jailed for manslaughter following the death of a man with a peanut allergy. 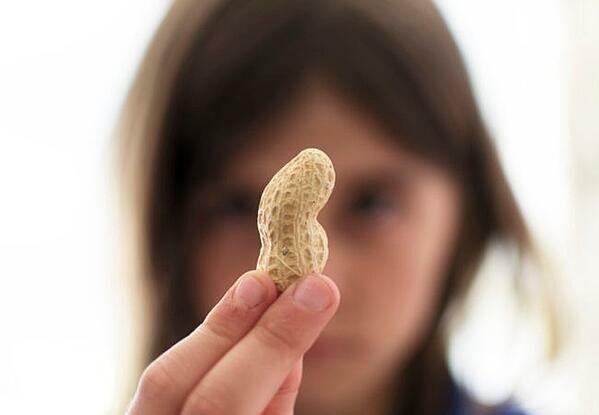 The customer was sold a meal where peanuts had been substituted as a cheaper ingredient to save costs, despite the man informing the restaurant of his severe allergy. Make sure you adopt good practice in your restaurant by using the same recipes every time, checking ingredients on products to ensure they match your specification folder and ensuring you’ve been delivered the correct items. It’s crucial that you have an effective system in place for alerting and updating staff about any changes and ensuring the correct information reaches the customer. Customers with allergies and intolerances may feel anxious when they dine with you. They don’t intend to be difficult but may need to ask more questions than the average customer in order to be sure they will be served a meal that’s safe for them to eat, and they can feel like awkward as a result. For example you could use a tagging feature in your digital reservation system that allows you to highlight allergies at the point of booking, so you can warn and update your serving staff and kitchen. It also gives you a heads up that you’ll want to clean the diner’s table thoroughly before seating to minimize risk of contact with leftover foods and you can sit the guest away from the kitchen too. Fantastic menu knowledge is a must when catering for allergies. Ideally, servers should be able to guide customers through safe menu choices and answer queries about how dishes could be adapted easily. All staff should be trained on procedures for catering for allergy guests along with how to handle their requests and directions for doing so should be made available in writing. You can also opt to mark your menu with symbols that denote where allergens are present, don’t forget to consider things like sauces and dressings used. If you go to the trouble of creating a special allergy menu or something like a dairy or gluten free menu, you’ll want to put it on your website but be mindful that you’ll need to keep it up to date. Giving a good descriptor under each dish can also help customers with allergies to make choices more easily. Many restaurants find it helpful to allow guests with food intolerances and allergies to speak to the chef directly, this provides reassurance that their requests are understood and their order will be handled correctly. Other establishments prefer to have the on duty manager serve the diner to provide extra reassurance and ensure there are no miscommunications. Along with directing customers to safe choices on your menu, you can provide better service by telling them about cross contamination avoidance procedures you have in place. Highlight to guests were cooking things such as fried foods might result in cross contamination occurring. In the kitchen, keep allergens separate and label any stored foods with allergens. Hygiene is an important part of hazard prevention, so along with cleaning surfaces you should use separate utensils. Gloves can also be worn to prevent cross contamination. At the point of ordering, checks should be marked clearly with allergy alerts and many kitchens find it helpful to mark plates with allergy stickers or flags too. When serving an allergy guest, continuity of service is important to avoid miscommunications. Do you always ensure the same person collects the order and food and delivers it to the table? Does your menu contain any dishes that are free of the major allergens? Providing allergen-free choices ensures an inclusive experience for all diners, and it makes things a lot simpler for your kitchen too. Design at least part of your menu to be free from things like dairy, gluten, nuts and egg and it will be a whole lot easier to serve customers with allergies. This will save you time in your kitchen and help you to win loyal customers. Diners with allergies are often hugely restricted in where they can eat and what they can order from the menu. Where substitutions are required, some restaurants find it best to prepare a few single serve portions of sides such as non-dairy creamed potatoes or mayo-free coleslaw at the start of the day. These can then be clearly labelled and used accordingly. Don’t forget to consider things like specials when catering for allergic guests too. If you don’t currently have any allergy-friendly offerings on your menu, is it time for a menu shake up? Hopefully this post has given you more confidence when it comes to meeting the needs of customers in allergies and intolerances. If it’s an area you feel your restaurant needs to work harder, there are many training companies who specialize in providing restaurant allergy training. You can also consult your area’s food standards organization or reach out to allergy charities for advice and guidance for further guidance.